Below you fill find all funeral homes and cemeteries in or near Henning. Zip codes in the city: 61848. Henning is a village in South Ross Township, Vermilion County, Illinois, United States. It is part of the Danville, Illinois Metropolitan Statistical Area. The population was 241 at the 2000 census. The town's name was the maiden name of one of the residents. The population was 241 at the 2000 census. When the Havana, Rantoul and Eastern Railroad (which became the Illinois Central Railroad) came through the area in 1879, John Putnam purchased of land from the railroad and a town was later established there. The town was incorporated in 1903; at that time, the first mayor, Charles Mason, decided to improve the streets which had been "paved" with corn cobs. 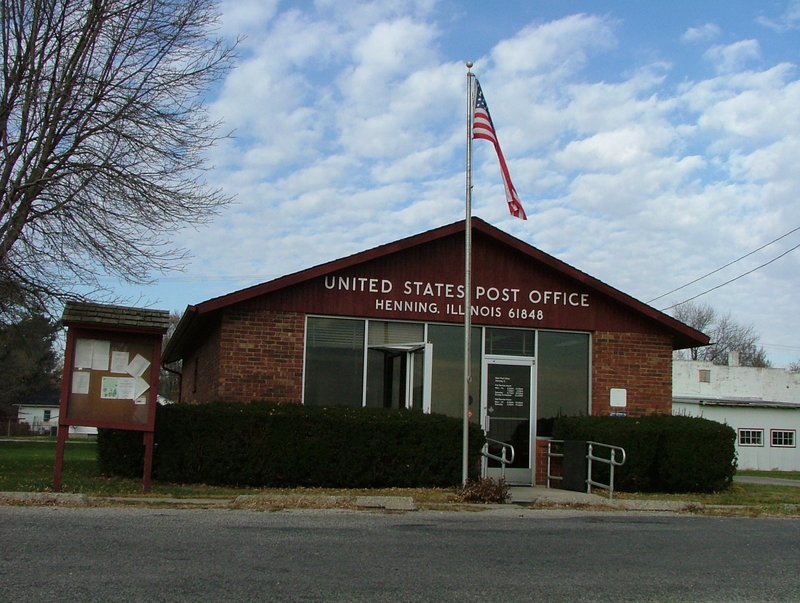 Image:Henning Illinois sign.png at the south edge of town. The train station there also functioned as a post office and general store. Henning is a village in South Ross Township, Vermilion County, Illinois Ross Township, Vermilion County, Illinois County, Illinois, United States. We work with local florists and flower shops to offer same day delivery. You will find budget sympathy flowers in Henning here. Our funeral flowers are cheap in price but not in value.